254 SMO Round Bar, SMO 254 Round Rod, UNS S31254 Round Bars, SMO 254 UNS S31254 Forged Round Bar, DIN 1.4547 Cold Finish Round Bar, SMO 254 WERKSTOFF NR. 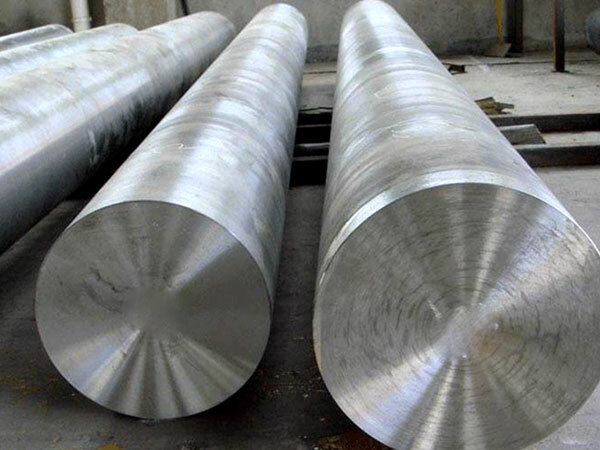 1.4547 Hot Rolled Round Bars, ASTM A276 SMO 254 Round Bar, EN, DIN, JIS, ASTM, BS, ASME, AISI Round Bar, 254 SMO Bar Supplier in Mumbai, India. SMO 254 Round Bar, 254 SMO Rod Exporter, 254 SMO Hot Rolled Round Bar, 254 SMO Cold Finish Round Bar, SMO 254 Round Rod, SMO 254 Round Bar, 254 SMO Rods Manufacturer in Mumbai, India. Jayesh Metal is a responsive manufacturer who never compromises with their excellence services. They have the better quality of SMO 254 Round Bar in stocks and they keep on designing the new one because they know how to go according to their customer's order. They shape up the bars up the order of the customers and even cut its length as they want for their industrial applications. They use to maintain their set standard so that they can fulfill the desires of their customers. In compliance, they use to meet the international standards that makes it best. This product carries best features like better strength. It is good in yield strength and with that; it shows the appropriate tensile strength it is used in the intense environment. Moreover, to check its other features the latest machinery is used because quality means a lot here. This grade of the bar is having longer services duration with operational safety and convenience. Besides this, its length even changes and cut short as per the set mm by the clients. Its ductility is also good than other grades of bars. SMO 254 Round Bar is even better in resistance feature; its compositions don’t allow it to react to the other elements when it is used in any of the chemical industries. Most industries are making use of this metal for better service and long-lasting working these days. SMO 254 Forged Bar supplier in mumbai, SMO 1.4547 Rectangular Bars, SMO 254 Threaded Bars, SMO 254 Round Bars Exporter, SMO 254 UNS S31254 Hex Bar dealer in mumbai, SMO 254 Round Bars Manufacturer, SMO 254 Round Bar Manufacturers in India, 254 SMO Round Rod, ASTM A276 254 SMO Black Bar, ASTM A276 / SA276 SMO 254 Forged Round Bar Supplier In Mumbai, ASTM A276 SMO 254 Round Rod supplier in india, 254 SMO Rod supplier in india, SMO 254 UNS S31254 Square Bars manufacturer in mumbai, SMO 254 DIN 1.4547 Bright Bars manufacturer in india, SMO 254 Cold Finish Round Bar, SMO 254 Flat Bar exporter in india, SMO 254 DIN 1.4547 Round Bars manufacturer in mumbai.